When it comes to antivirus software, you don't want some fly-by-night developer having access to the sensitive data that these apps can scan. Luckily, most of the longest-tenured antivirus companies from the realm of desktop computers offer complete security suites for Android these days. While Android itself has some nice security features baked in, antivirus software gives users a peace of mind that couldn't otherwise be achieved with behind-the-scenes measures such as these. 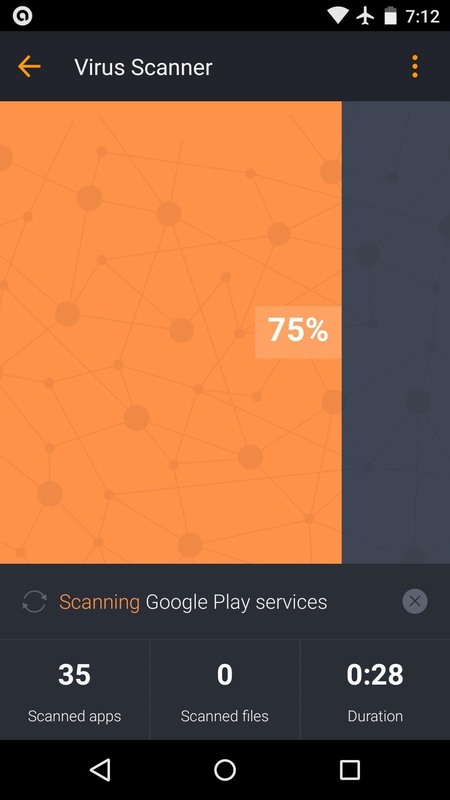 Scheduled app and file scanning ensures that your smartphone's data is safe, and many additional features are available to help keep your digital world secure. 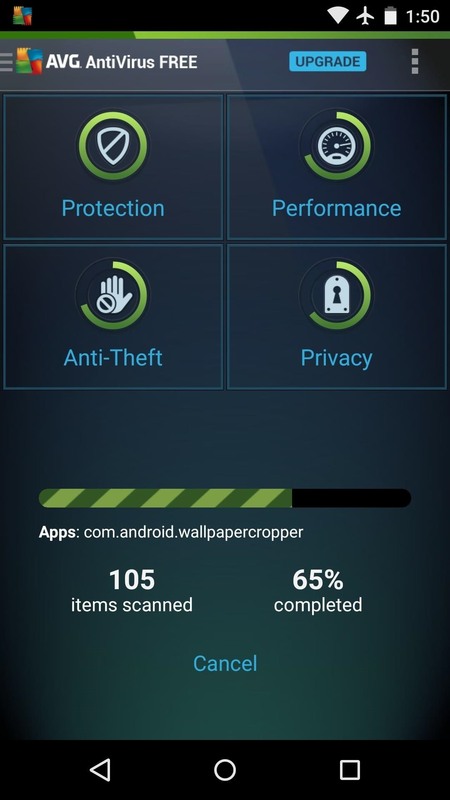 We've whittled down the list of Android antivirus apps to 4 of the most trusted names on the market, and below, I'll outline the pros, cons, and security features of each app. I've also included security scores from AV-Test.org, but know that no antivirus app is completely safe, as there are many hackers trying to sneak their own malware past it. First up is the Mobile Security & Antivirus app from Avast. 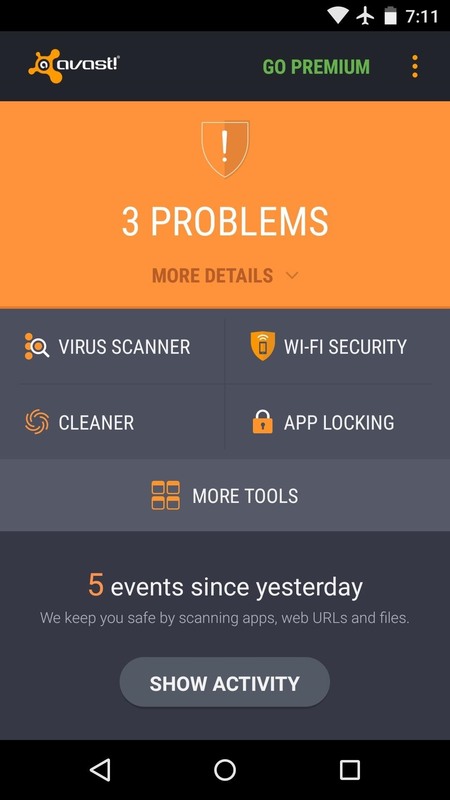 All core antivirus features of this app are free, but a premium subscription ($14.99/year) gets you access to additional functions like app locking and advanced anti-theft. By default, Avast's virus scanner will comb through your installed apps, system settings, and even files stored on your SD card. Additionally, any apps you install in the future will automatically be scanned for malware upon installation. 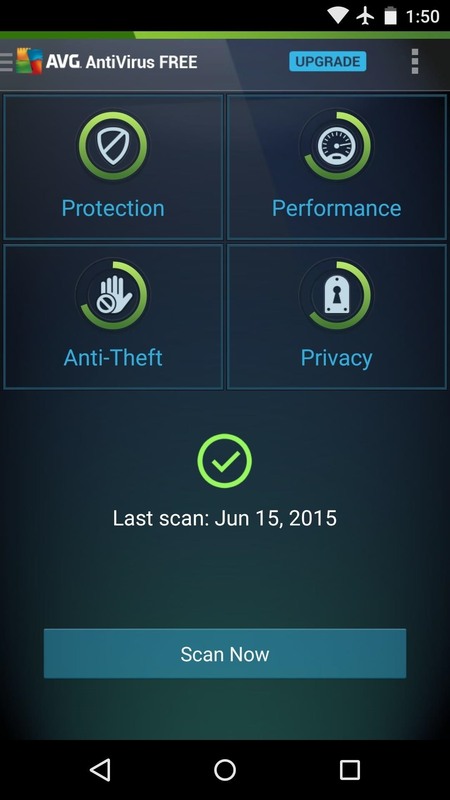 Avast's basic anti-theft features, while free, do require you to install an additional app. Avast also includes internet security measures that will notify you when you navigate to a site known for phishing, and deletes malicious cookies during its scans. 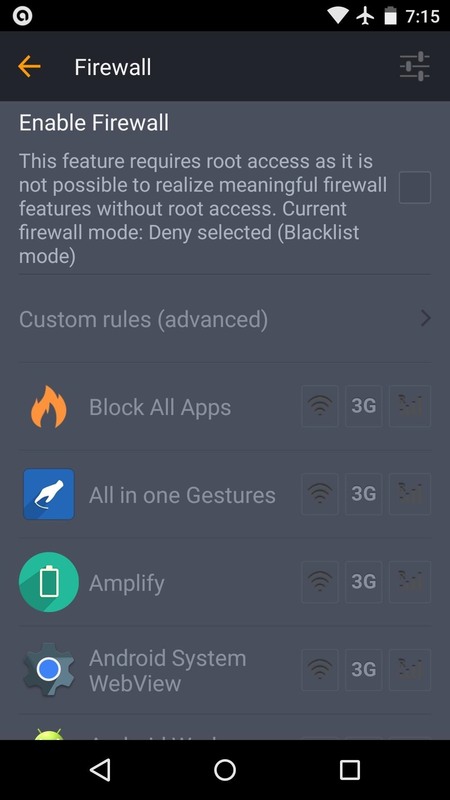 A firewall feature even allows rooted users to block internet traffic on a per-app basis. Next we have the AntiVirus Security app from AVG. Virus scans can be performed either manually or at a set interval, and these will look through your apps, system settings, and storage partitions for potential threats. 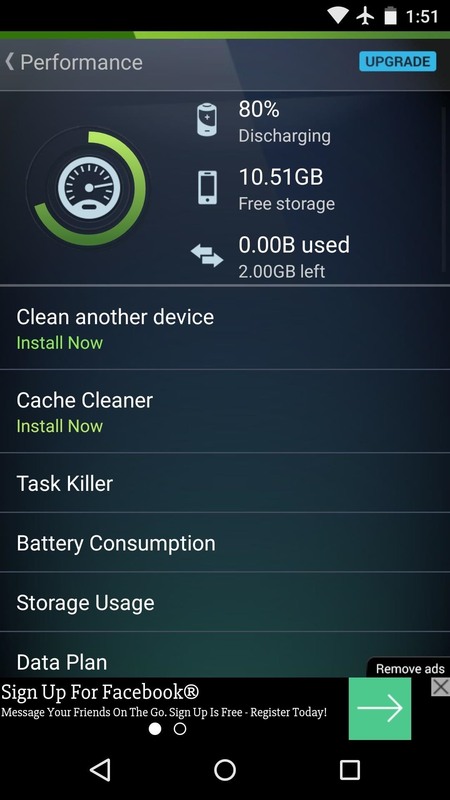 As an added bonus, AVG includes a task killer and data usage monitor to help keep your phone running at optimal speeds and prevent you from incurring costly overage charges. AVG even notifies you when you've navigated to a known phishing site, so your web browsing will be a little safer. While most core antivirus functions are free, additional features such as anti-theft options require a subscription that starts at $14.99 per year. 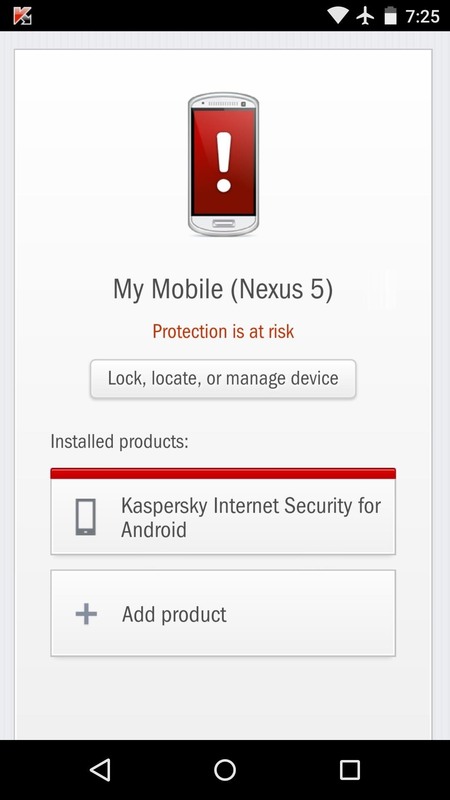 Third on our list (in alphabetical order) comes Kaspersky Internet Security from the Kaspersky Lab. You can schedule virus scans or execute them manually, and all of your apps and files will be screened for malware. 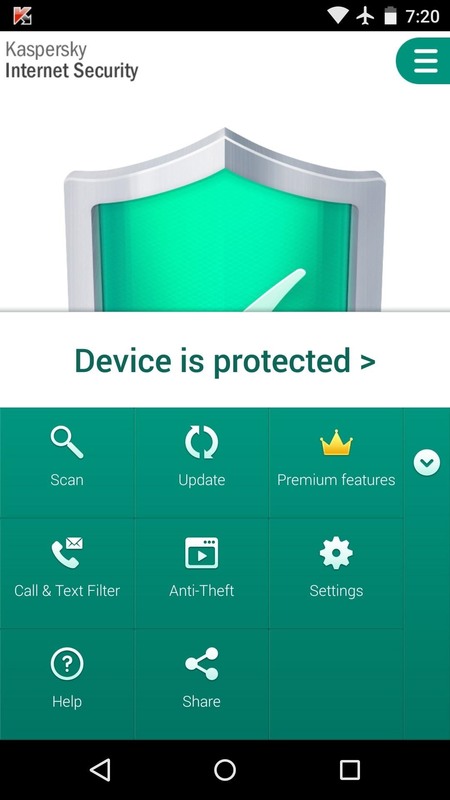 Kaspersky allows you to locate, lock, and wipe your device if it's ever lost or stolen, and this feature is included for free. It even allows you to block calls and texts, but this function is not available in Android 4.4 (KitKat) or higher. Kaspersky's subscription service will enable additional antivirus features such as real-time app scanning and web security for a cost of $14.95 per year. 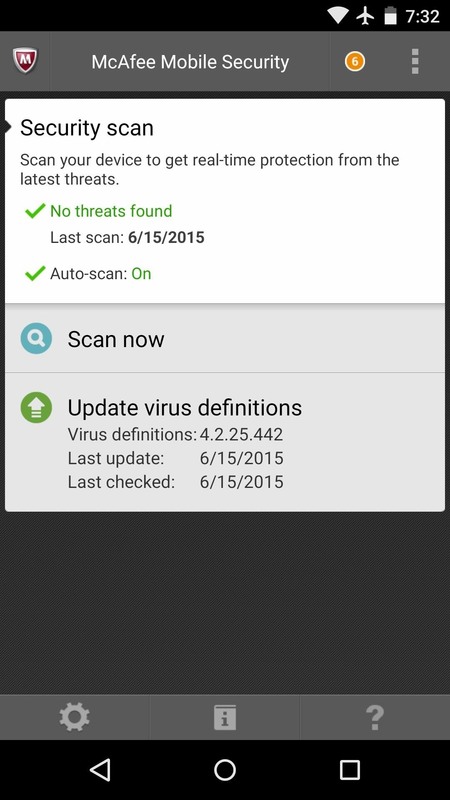 Finally, we have the Security & Antivirus app from Intel's security team at McAfee. 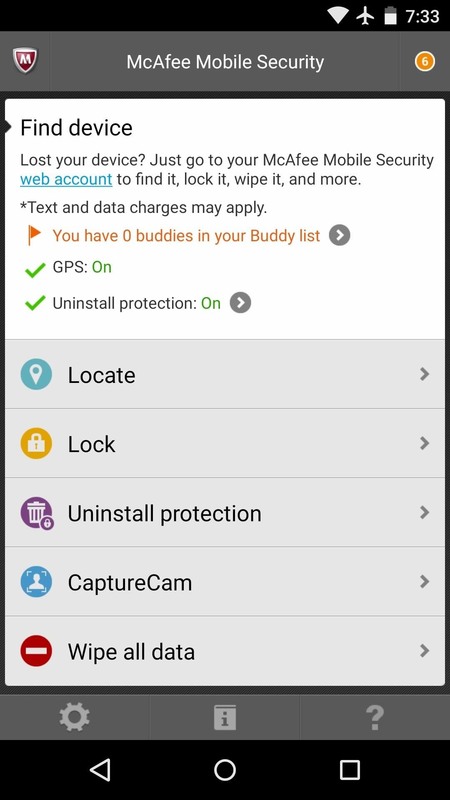 Web security is included for free, and a "Privacy" feature lists apps that have requested too many permissions. Virus scanning can be done manually, automatically upon app installation, or on a scheduled basis. A backup feature allows you to save contacts, call logs, and text messages, and the built-in battery optimizer closes apps and turns off settings that are known to drain battery. All of McAfee's antivirus features are free, which makes the subscription service almost pointless. But for $29.99 per year, you get 2 gigabytes of secure cloud storage and access to McAfee's help hotline. If it's virus scanning that you're after, you can't go wrong with any of these apps. Each company advertises industry-leading scanning technology, and their AV Test scores tend to back up these claims. Subscriptions are similarly priced, so if you're more interested in the full antivirus suite, the playing field is fairly level here. But two of these apps stand out for the functionality they offer without a subscription—Avast and McAfee. For instance, automatic app scanning is a killer feature, and it's only available for free in these two apps. If you asked me, though, I'd give the edge to Avast due to its firewall feature, 99.9% AV Test score, and nicer interface. Do you agree? 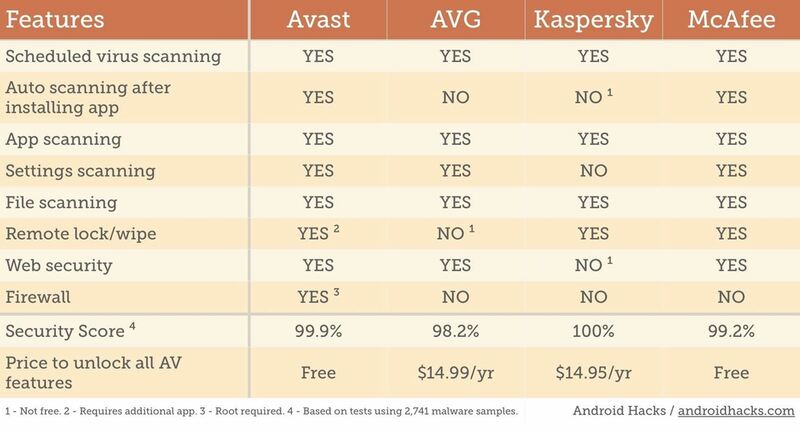 Which app is your go-to antivirus tool on Android? Let us hear your opinions in the comment section below, or drop us a line on Android Hacks' Facebook or Twitter, or Gadget Hacks' Facebook, Google+, or Twitter. I would love to have seen the details on how you eliminated some of the other AV programs. Based on the results of sites like AV-TEST (which you mention) I would not have come up with the same list. If you are sticking with the better known name brand products Bitdefender, Norton Mobile Security, Sophos and Webroot would have outpaced some of your choices. My main method for that part was a bit subjective. I read reviews on Google Play and stuck with the AV apps that had the highest ratings, then searched around the web for AV recommendations from various user reports and lists. I wanted to limit the review to 4 or 5 apps so that this article would be approachable to the average user, and these 4 were the ones that popped up the most in my initial researching. 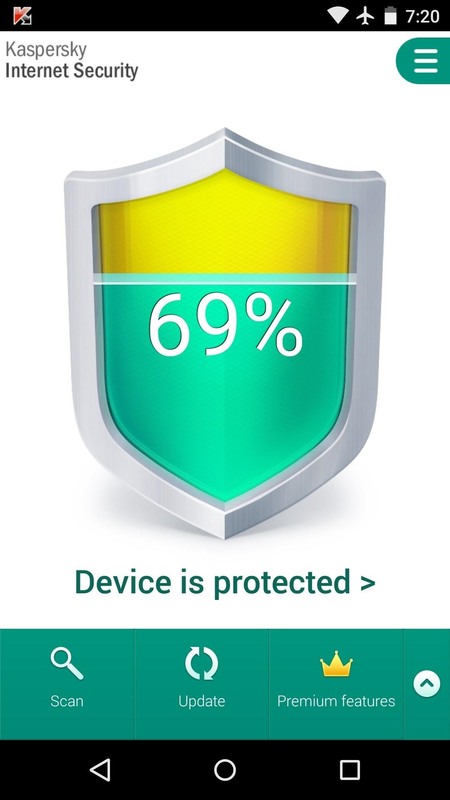 I like Bitdefender. The only reason I don't like Avast is that they advertise too much and make you pay for upgrades. I use Comodo free for android, Windows laptops and desktops. Yes, I agree. I've been using AVAST for longer then I can remember. You may have mentioned this, I don't recall but AVAST also has a "Avast Cleanup" app (sub-app) as well. 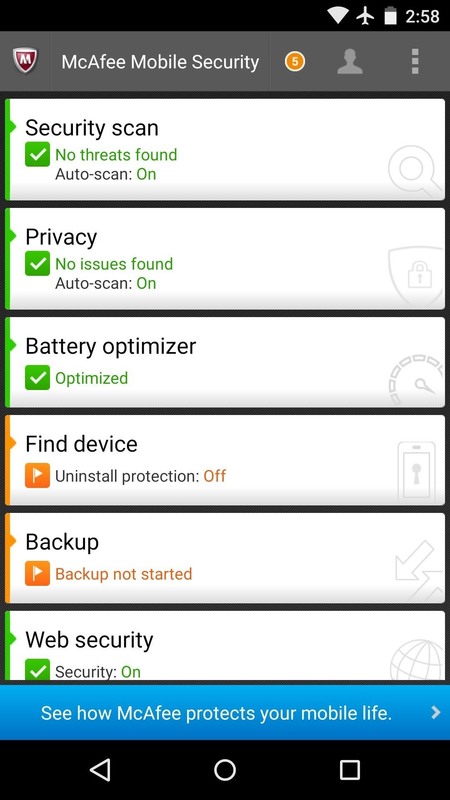 I use KASPERSKY on my PC for about 6 years now and considered switching my ANDROID devices to same, however AVAST has done so well for me, I cannot find a valid reason to switch. Bitdefender and Commodo are great but personally I use Iobit Advanced Security. Really user friendly and the free version is great. I have used this both on my laptop and android. I would like to see what you think if you try it out. I've used Lookout Security & Antivirus for over 7 years now and I've never had one problem or intrusion on my Androids. I pay 2.99 per month and it's been smooth sailing. Why wasn't Lookout considered in these tests?